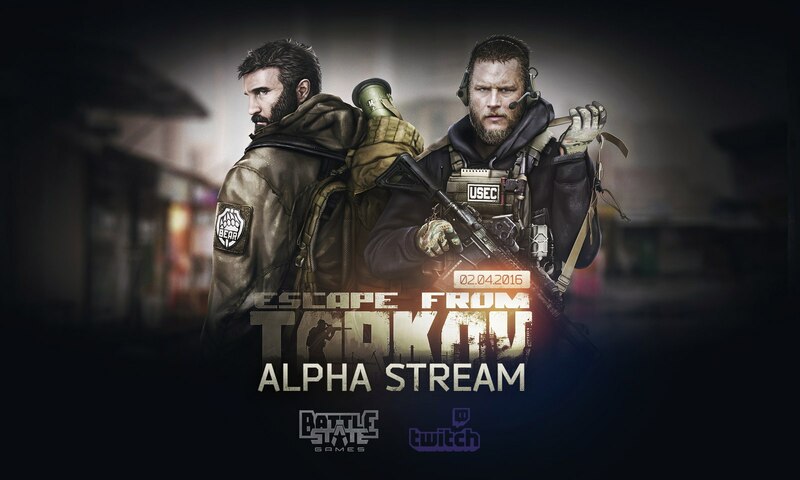 We are, just as you, eagerly waiting for the first live stream of Escape from Tarkov, where you will see with your own eyes, how the Alpha version of the project looks and plays like. We are also happy to announce that, instead of one stream, there will be two, both live, at the different time; one for our Russian-speaking audience, and one for English-speaking. Both streams will be broadcasted on our Twitch channel on Saturday, April 2nd. The stream will be presented by the project lead Nikita Buyanov and Alexander "Kiba" Kovalchuk, with estimated running time of 1.5 hours. The first stream - in Russian - will be broadcasted at 16:00 Moscow time. The second stream - in English - will be broadcasted at 18:00 UTC (21:00 Moscow, 19:00 CET, 14:00 EDT, 11:00 PDT). Both stream replays will later be uploaded to our official Youtube channel. Thank you for your support and see you on the stream!